Home » Geography » #CrimeaIsOurs? Crucially, Crimea was never Russian in any sense prior to 1783. In antiquity, the southern shore of Crimea was an outpost of Greek culture and of the Roman Empire known as Taurica; current place names such as Feodosia (from the Greek Theodosia) reflect that Greek connection, as did the presence of a large number of Greek inhabitants until the mid-20th century. From the mid-1400s, the peninsula as a whole was ruled by the Crimean Khanate, whose rulers traced their ancestry to Batu Khan, founder of the Golden Horde and grandson of Genghis Khan. The majority of Crimean Tatars adopted Islam in the 14th century, making the peninsula a center of Islamic civilization. In 1475, the Crimean Khanate became a protectorate of the Ottoman Empire. Subordination to the powerful Ottoman state, however, along with profits from a massive slave trade, allowed the Crimean Khanate to survive into the 18th century. In 1774, Crimea gained independence as the Ottoman government renounced its right to protect the Khanate, and less than a decade later the peninsula was annexed by Russia under Catherine the Great. As Crimea became Russian (for the first time, but not the last, as we shall see below! ), many Crimean Tatars were massacred or exiled into Siberia; others moved to the Ottoman Empire in several waves of emigration. At the same time, Russian, Ukrainian, Jewish, Gypsy, German, and other settlers flooded into Crimea. * From that time on, Crimean Tatars continuously declined both in absolute numbers and the proportion of the overall population in their historic homeland. The particularly bloody nature of this war also prompted development of battle-field surgery and modern nursing, pioneered by Nikolai Pirogov in Russia and by Florence Nightingale in the British army. The Crimean war also revealed infrastructure inadequacies on both sides. The shortcomings of the British military were immortalized in Tennyson’s poem, The Charge of the Light Brigade. In Russia, the revelations of failure in its military and civilian infrastructure ultimately led to a major reform campaign under Alexander II, who succeeded to the Russian throne upon the death of his father, Nicholas I, in 1855. One of the most momentous among those reforms was the abolition of serfdom in 1861. Although Russia lost Crimea militarily, the peninsula was returned under its control in accordance with the Paris treaty in 1856. 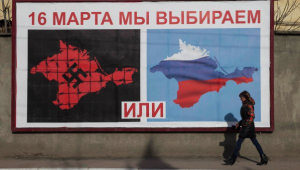 This is the second time Russia “got” Crimea. The Russian state managed to hold on to the peninsula until the Bolshevik Revolution of 1917, in the aftermath of which many former Russian territories, including Crimea, declared their independence. Yet, Crimean independence was very brief, as the region was quickly dragged into the Russian civil war and became a stronghold for the White Army under General Anton Denikin. Following a quick succession of short-lived governments, Crimea eventually became part of the Soviet Union as the Crimean Autonomous Soviet Socialist Republic in 1921. Since this Republic was included into the Russian Soviet Federative Socialist Republic (RSFSR), this was the third time Russia “got” Crimea. In the 1920s, plans were made to create a Jewish autonomous territory in Crimea, which already had a sizeable Jewish population. 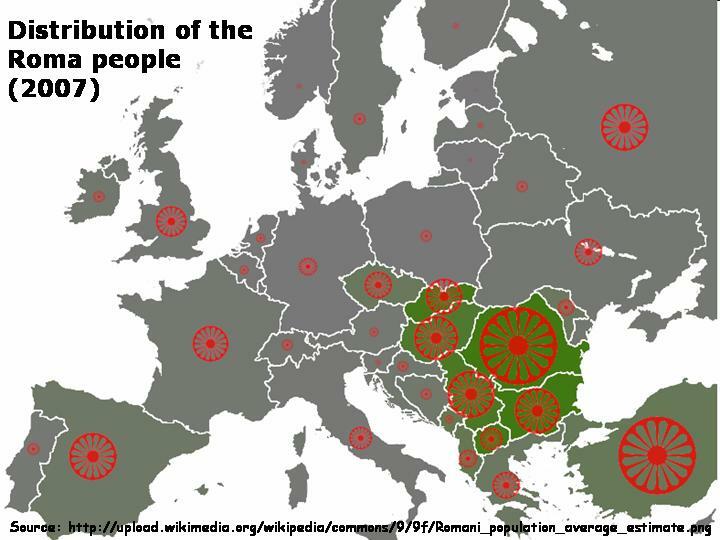 Although a few Jewish kolkhozes were created in Crimea in the early years of the decade, the bigger plan was never implemented, partly due to fears of potential tensions arising between resettled Jews and other locals, such as the Ukrainians and Crimean Tatars, but largely because an alternative scheme, perceived as more advantageous, was put into practice. Instead of Crimea, the Soviet government set its eyes on a small territory in and around the city of Birobidzhan in the Russian Far East, bordering China’s Heilongjiang province, where the still-existing Jewish Autonomous Oblast was established. More trials and tribulations awaited Crimea in the first half of the 1940s, when the peninsula was occupied by Nazi Germany. The port city of Sevastopol was nearly destroyed; its heroic defense earned Sevastopol the title of Hero City. (This honorary title was bestowed on twelve Soviet cities, including Moscow, Leningrad, Stalingrad, Kiev, Odessa, and several others.) The Nazi occupation lasted from July 1942 through May 1944. When the peninsula was liberated (thus, “given” to Russia for the fourth time! ), its legal status was downgraded to that of an oblast. On May 18, 1944, Crimean Tatars—arguably, the peninsula’s indigenous inhabitants—were forcibly deported to Central Asia as punishment for alleged collaboration with the Nazis. The official Soviet decree “On Crimean Tatars” described the resettlement, known in the Crimean Tatar language as Sürgünlik (‘exile’), as a very humane procedure. But the reality described by the victims in their memoirs was horrific. More than 32,000 NKVD troops participated in this action. Nearly 195,000 Crimean Tatars were deported, most of them to Uzbekistan, others to the Gulag camps in the Mari Autonomous Republic in the Central Volga region of Russia, to Kazakhstan, and elsewhere. It is estimated than nearly half of the deportees died of diseases and malnutrition. Along with Crimean Tatars, members of other ethnic minorities—Armenians, Bulgarians, Greeks, Jews, Volga Germans, and others—were also deported. Altogether Crimea lost some 300,000 of its inhabitants, or over a quarter of the pre-WWII population. Moreover, much of its agricultural infrastructure lay in waste. In order to revive the peninsula’s economy, Soviet authorities initiated a program of resettlement of Russian workers from other areas. However, the program turned out to be ineffective. The resettled Russians hailing from regions of colder and wetter climate had little experience with agriculture in dry steppe areas. Their attempts at growing eggplants, melons, and peaches failed miserably. Many grapevines were lost through mishandling while entire fruit orchards were cut down for firewood to be used during cold Crimean winters. It thus became apparent to the Soviet authorities that resettling Ukrainians from areas of similar climate might be more efficacious. Furthermore, Crimean infrastructure was also heavily dependent on that of Ukraine. 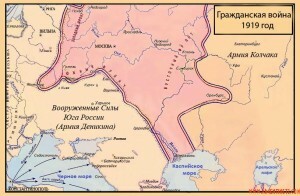 Most of the peninsula’s water was to be supplied through the North-Crimean channel that was being built at the time. Likewise, electricity came chiefly from the mainland, most of it from Ukrainian power stations. Thus, administratively, it was easier to construct common infrastructure and relocate workforce to Crimea if it were part of Ukraine rather than of Russia. In 1954, Nikita Khruschev signed on the transfer decree, which at the time had no political significance as both Ukraine and Russia were constituent republics of the USSR. Although at the time, the decision seemed a “no-brainer”, today many Russian nationalists have a hard time accepting it. It is common in the Russian media and blogosphere to talk of the 1954 transfer as a “generous gift” on the part of Khruschev, who was a native of Ukraine. While at the time Russia simply reshuffled the burden of an unprofitable and hard-to-manage area onto Ukraine, contemporary Russian leaders—and the “krymnash” enthusiasts—see it as a major geopolitical loss. It is to correct this perceived loss that Putin’s government initiated a so-called “accession referendum”, preceded by a powerful propaganda campaign that presented the choices as either Russia or a fascist state (see image). The actual ballot too presented the voters with only two choices: “the reunion of Crimea with Russia as a subject of the Russian Federation” and “restoring in effect the 1992 Constitution of the Crimean Republic and the status of Crimea as part of Ukraine”. The “1992 Constitution of the Crimean Republic”, referred to in the second choice, was abolished in March 1995. There was, therefore, no “keep the status quo” option on the ballot. The official results claim that 96.77% of the votes were cast for the first option, joining Russia (or “return to Mother Russia”, as it was presented in the Russian media), with voter turnout over 83%. The figures are problematic, however, as Crimean Tatars altogether boycotted the referendum, or were even prevented from voting in it, according to unconfirmed reports by members of the Crimean Tatar community. It is thus pretty evident that the referendum was not “an expression of the will of Crimea’s people”, as it was billed by the Russian authorities. Neither Ukraine, nor the majority of the international community accept the results of this Crimean referendum as valid. 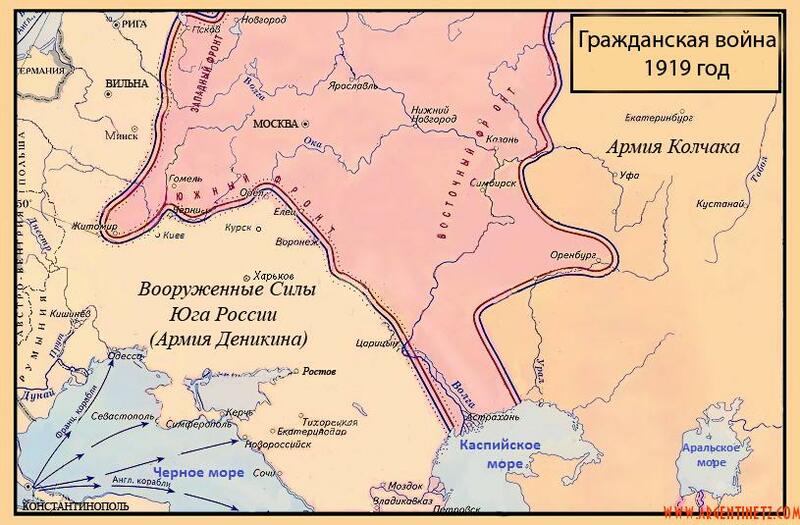 For now, Crimea is Russian—but it was clearly not always so. In fact, Russia held Crimea only for 164 years, out of its arguably millennium-long history. Curiously, the four periods of Russian rule over Crimea get ever shorter, with the first period—from Catherine the Great’s annexation till the loss in the Crimean War—lasting over seven decades, but the most recent Russian interlude—from the liberation from the Nazi occupation till the Khruschev transfer—continuing for a mere decade. It remains to be seen if the current “Crimea is ours” episode will be even shorter. With Russia already feeling the economic consequences of the take-over, in the form of both Western sanctions and government subsidies to the peninsula, the “krymnash” euphoria may well fizzle out soon. *One Jewish group, the Crimean Karaim, lived in the peninsula at the time of Crimean Khanate. This group is discussed in my earlier post. Northern Californian English: Hella Different?